Door part of the system in the HORIZONT PS top design. 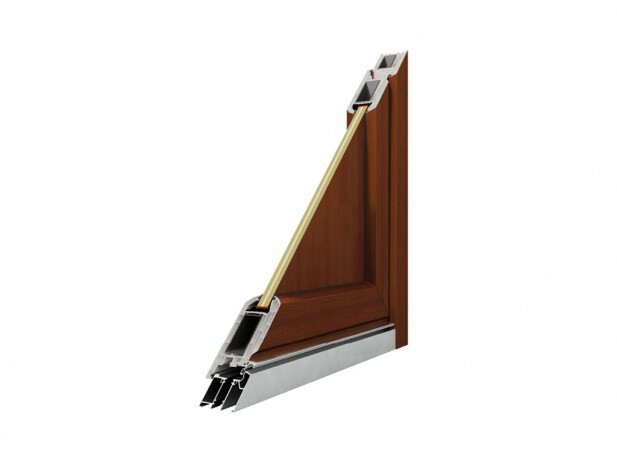 No less than a worthy partner of window profiles. The design parameters of the HORIZONT PS penta front door system are based on the window part of the system, but the system is more sturdy and allows mounting of a stronger reinforcement for the perfect rigidity of the front door. The system is complemented by two types of sill, in a standard design and in disability access design. In addition to the installation of insulating glass, the door part of the system allows installation of door panels in appropriate widths, with the door leaf can be designed as paneled, consisting of stiles and rails, which guarantees the uniqueness of your entrance door. Sufficient width of the door leaf allows for installation of standard door handles and grab bars. HORIZONT PS penta doors add a real character-defining feature to your house.